A great philosopher once said “I believe that children are our future, teach them well and let them lead the way”, oh ok maybe that was Whitney Houston on her 1986 hit single but nevertheless Whitney’s point still stands. Getting young people involved in the Maker movement is one of the most important goals for Liverpool MakeFest. By spreading knowledge and sharing ideas we hope to inspire future generations to dream, create and do exciting things. Also, let’s not forget the many things we can learn from children ourselves. That amazing imagination and curiosity that lives in young minds. Getting them involved is so important. Thankfully there are many people working hard in this area, Liverpool Libraries are running the Maker Difference initiative for just such a purpose. So today we want to tell you about a special mini MakeFest for young people coming to Liverpool Central Library on Friday March 23rd. It’s completely free to attend and there’ll be loads of great things to try out between 11am and 3pm. “What kind of things can you do there though? !” we hear you cry and we’re glad you asked. 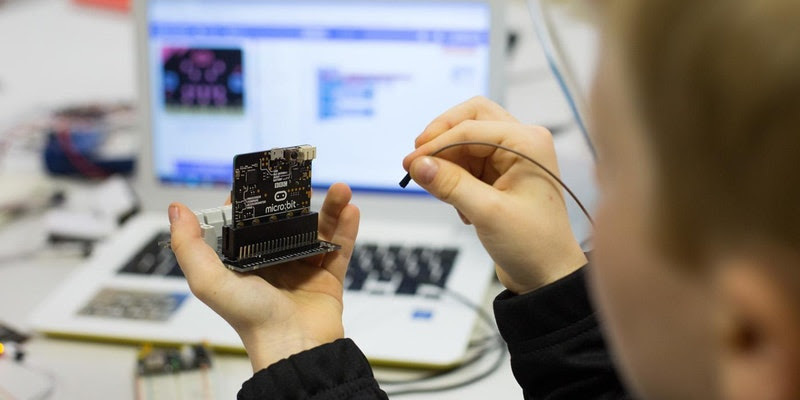 The event will be the culmination of many weeks of free workshops and activities happening around the region, so if there’s a budding maker in your life read on. The Little Sandbox team will be teaching kids how to use Microbits. Free Saturday Maker Clubs are taking place from February 3rd through to March 24th and they’re open to young makers aged 8 or over. Each Saturday there’ll be events from 10:30am till midday at Toxteth Library and then from 2pm to 3:30pm in Norris Green library. These workshops will be run by the wonderful people from Little Sandbox who are based in Liverpool. Coding Robots (Using Ozobot & MBot) – Get started in robotics with an exciting session building and coding a robot yourself! Paper Circuits – Paper circuits are an excellent way to start learning about circuitry and electronics. We’ll be using lights and sound to build working electronic circuits. Stop Motion Animation – Stop-motion animation has stood the test of time, and lego makes it easier than ever to create. We’ll make our lego come to life in short videos, written by the children. 3D Design and Printing – 3D printing is revolutionising the world, and in this workshop we’ll be bringing our attendees into that revolution. We’ll be creating designs for 3D printing, then using the libraries’ printer to turn them into solid objects. Little Bits Circuit Blocks – The “Little Bits” circuit builder is another way to develop children’s understanding of simple electronic circuits, and a great foundation for knowledge. In this session, we’ll be using it to create things that light up and move. Microbits – Kids with an interest in computing will love our Microbits session, during which we’ll be coding mini computers using Microbits. 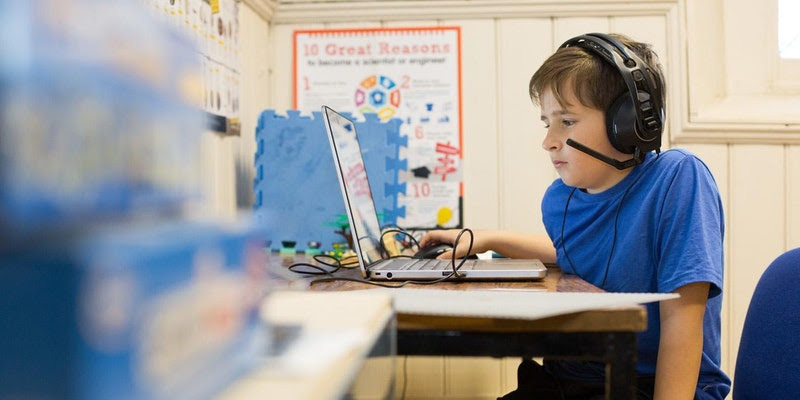 Microbits are versatile, while still being simple enough to be accessible to makers of all ages, and provide a brilliant doorway into coding using drag-and-drop blocks, or more traditional code. Recording A Podcast – Make your own podcast! Recording and editing sound to create your own online content is a great way to leverage technology to get your opinions, stories and art out there. This week, we’ll be exploring different parts of creating a podcast. Get your voice heard! You can see the events on the Maker Difference calendar and follow Little Sandbox on Eventbrite to book free workshop places. Half-term taster workshops are a great way to get into making. We’ll be providing alternate morning and afternoon sessions across Norris Green and Toxteth, letting kids from the age of 8 upwards get stuck into making, in a big way! Tuesday: 2 hour Stop Motion animations using lego. No previous experience is necessary! Workshops are suitable for children aged eight and over. Places must be booked in advance – up to 12 kids per session. Again see the Little Sandbox page on Eventbrite for booking. That’s not all that’s happening in half term though, you can also learn about Smart Materials with free workshops in Parklands Library. As part of this children, young people or families can work individually, in small teams, or as a whole group to create a piece of art that explores the idea of individual wellbeing. No previous knowledge of technology or craft needed. Suitable for adults and young people aged 9+ (All children under 12 must be supervised by an adult at all times). These workshops will be run by the lovely folks at We Heart Tech, you can find out more about them on their website. All these activities will be brought together for a big day of celebration and fun at Liverpool Central Library on Friday March 23rd – 11am to 3pm. You don’t have to have attended one of the earlier workshops to come and join in though, it’s free and open to all. Work at a school and want to bring some of your students along? Great! Follow this link to book free spaces via Eventbrite. Help us spread the word. You can download the A5 Leaflet For Young Makefest 18, print some maybe and put them in your local community centre, or just share them online, tweet, Facebook (that’s not a verb is it), blog, shout, Morris dance, whatever you think will help draw attention! We appreciate it. Follow @MakerDiff on Twitter for updates. Most importantly though just come along and bring any budding makers in your life too!